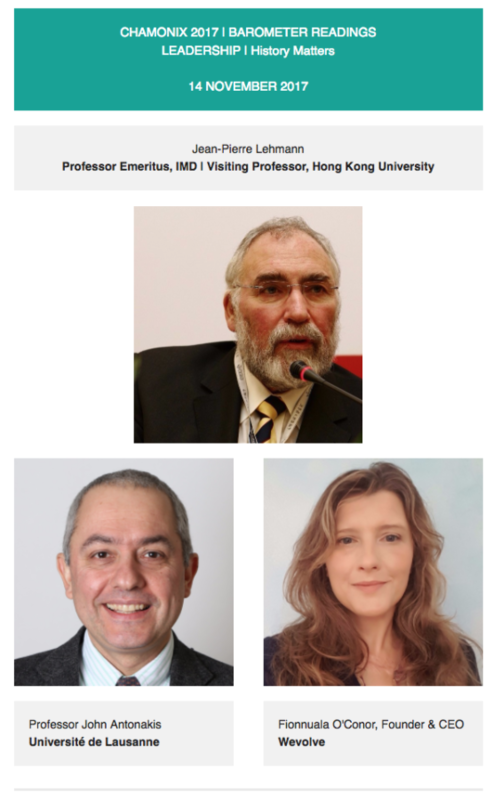 Every September, leaders from business, politics and academia gather in Chamonix for The Get-Together, a ‘summit of minds’ co-hosted by The Monthly Barometer (co-founder, Thierry Malleret) and Anadeo (founder and CEO, Christophe Amenc). We asked some of those at this year’s gathering for their thoughts on leadership today: what it takes, why it is important to move with the times, and why history matters. 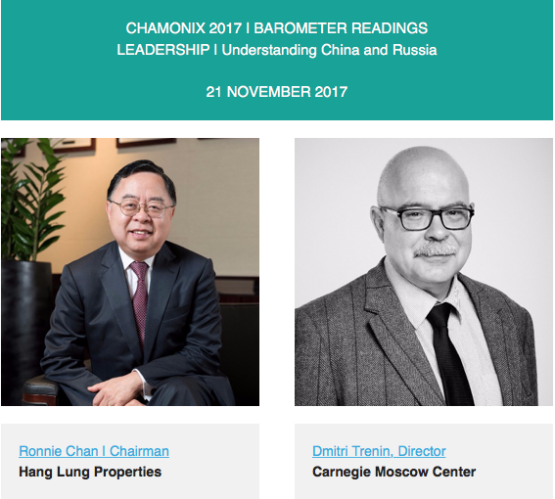 We hope you enjoy our series of Barometer Readings 2017 | On Leadership. 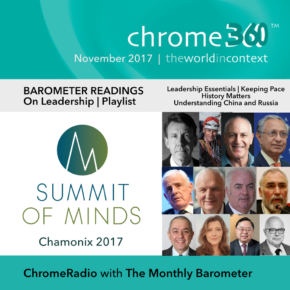 A ChromeRadio production in partnership with The Monthly Barometer and Anadeo, with thanks to all our contributors for sharing their thoughts with us. This entry was posted on Wednesday, November 1st, 2017 at 2:08 pm and is filed under Chrome360, News, Our work, Podcast. You can follow any responses to this entry through the RSS 2.0 feed. You can leave a response, or trackback from your own site.